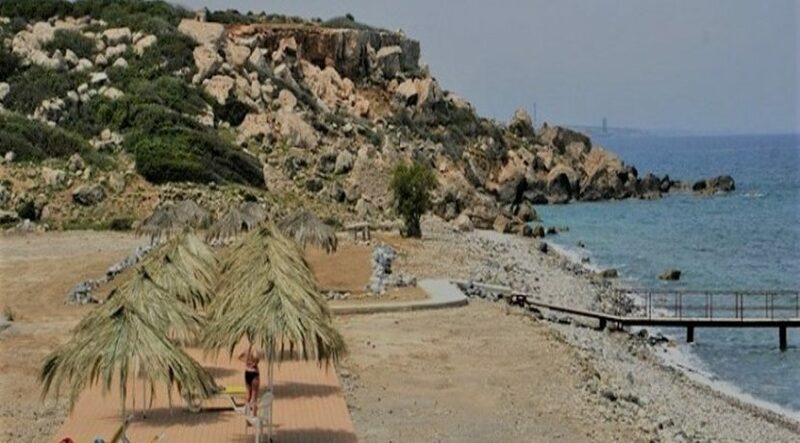 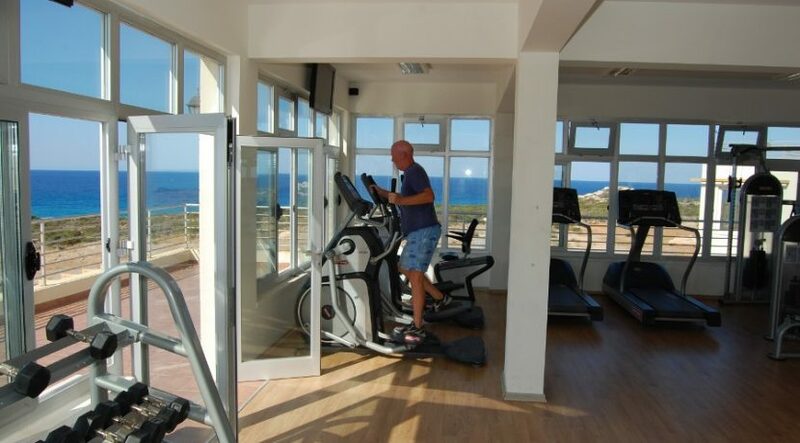 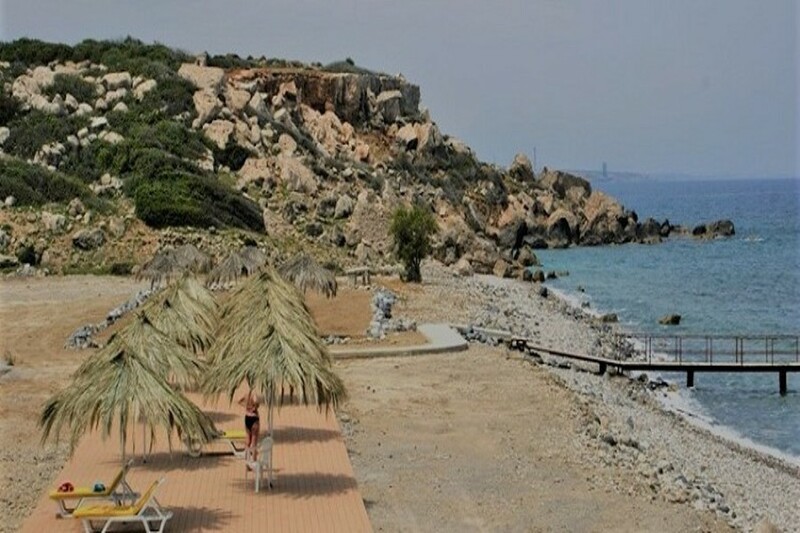 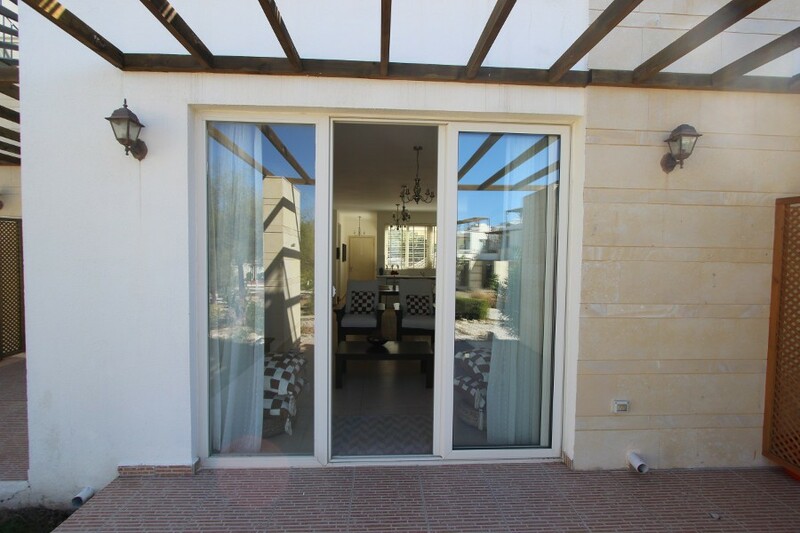 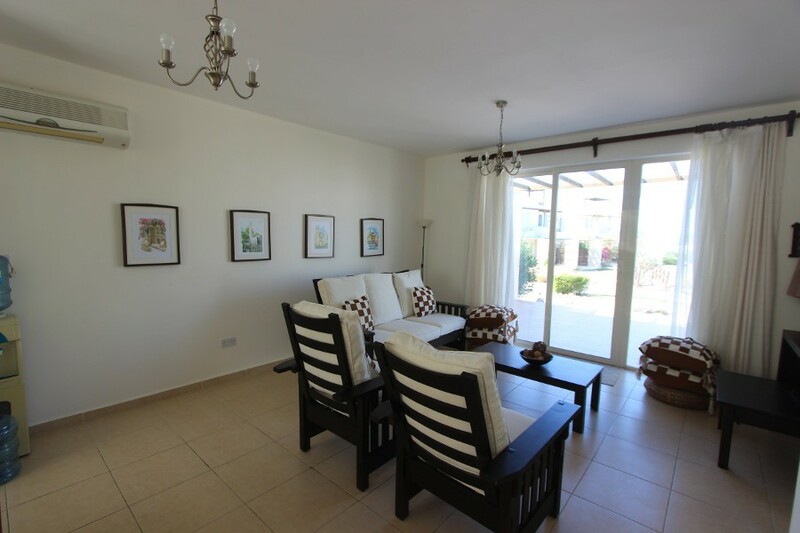 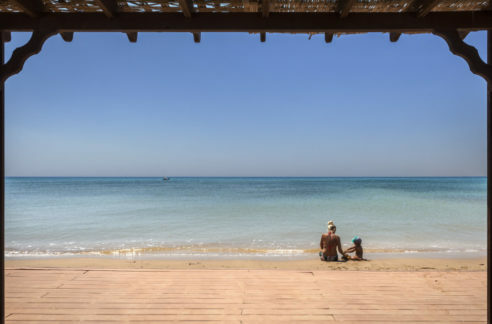 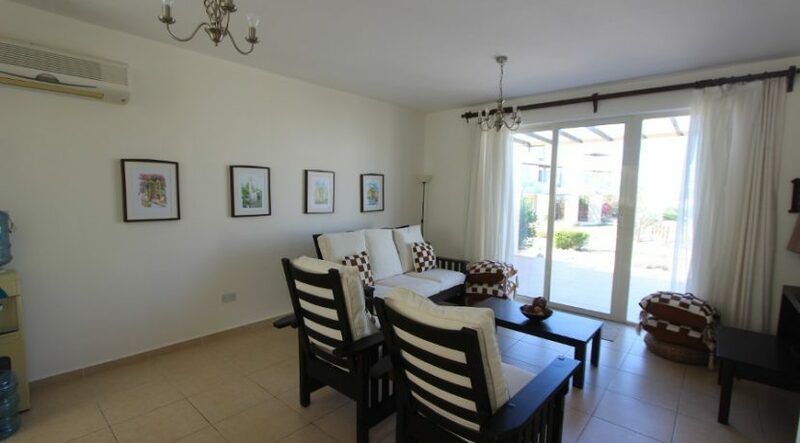 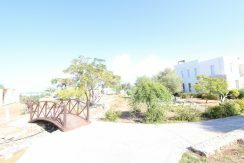 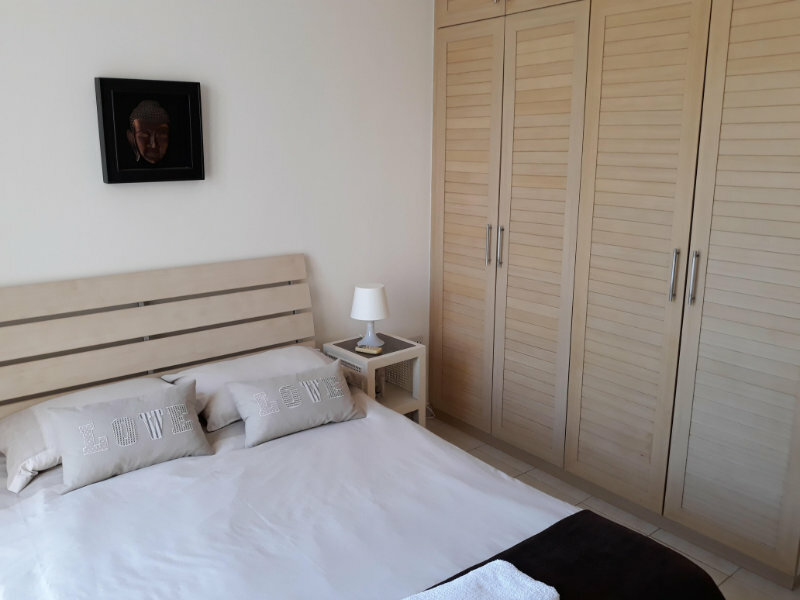 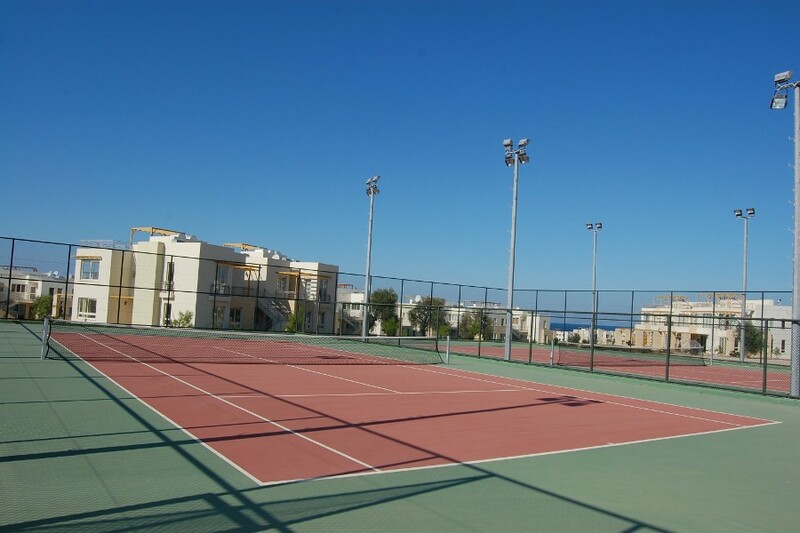 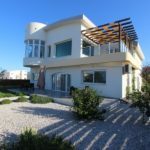 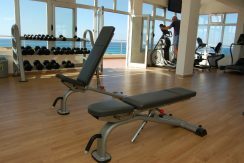 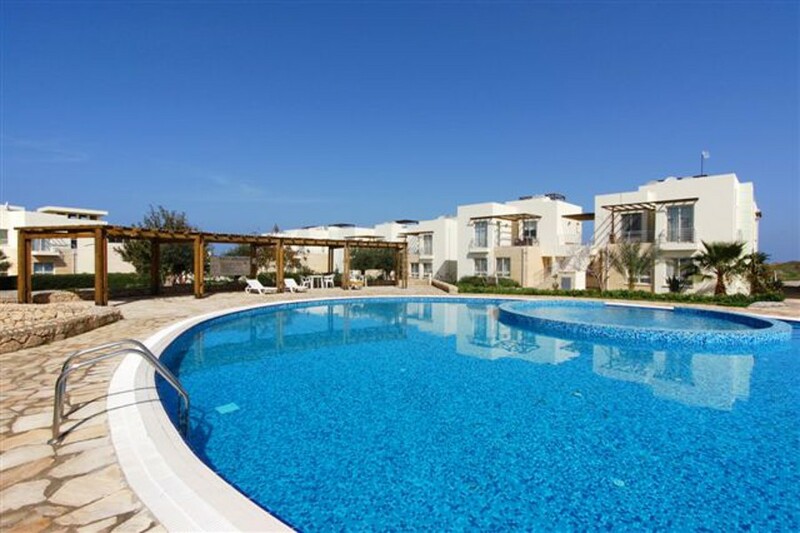 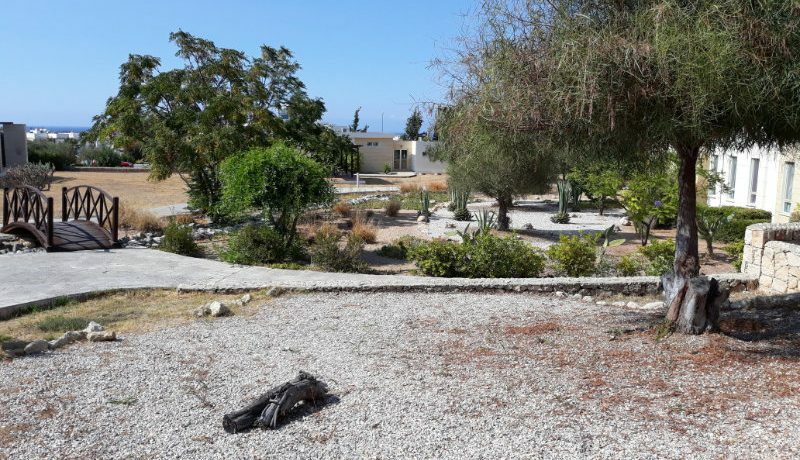 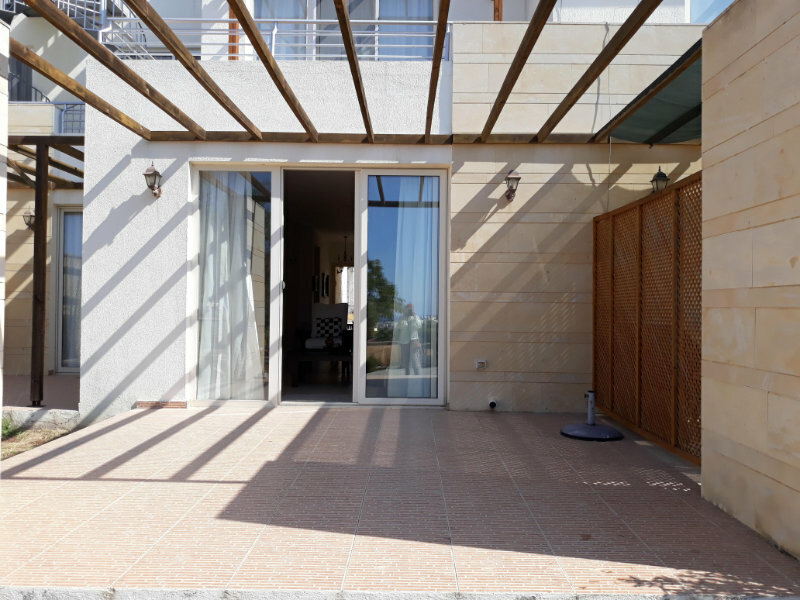 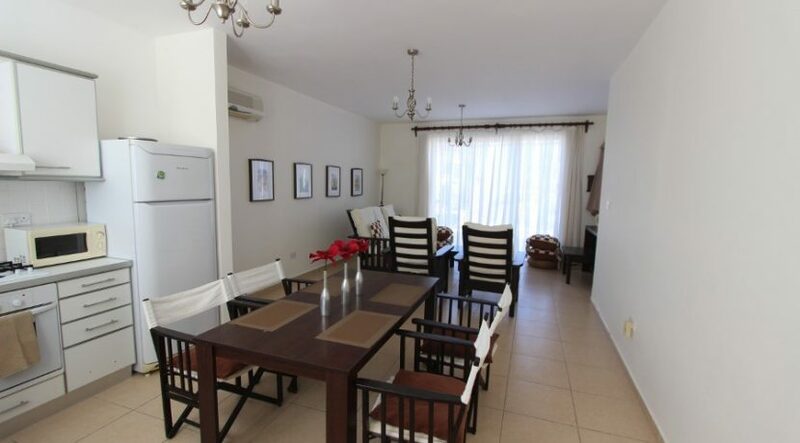 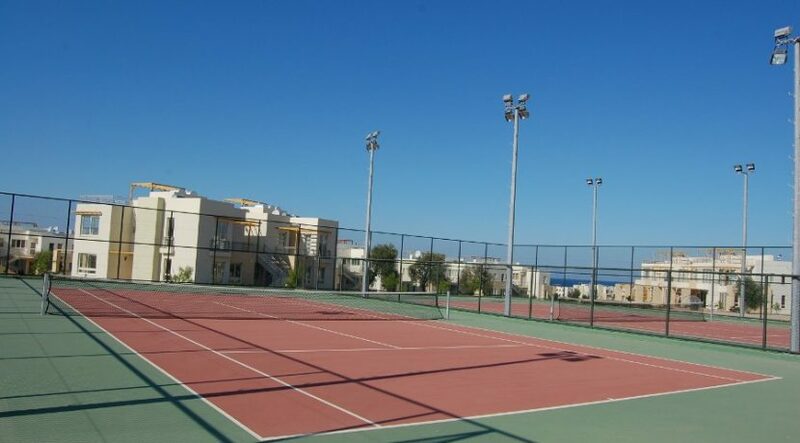 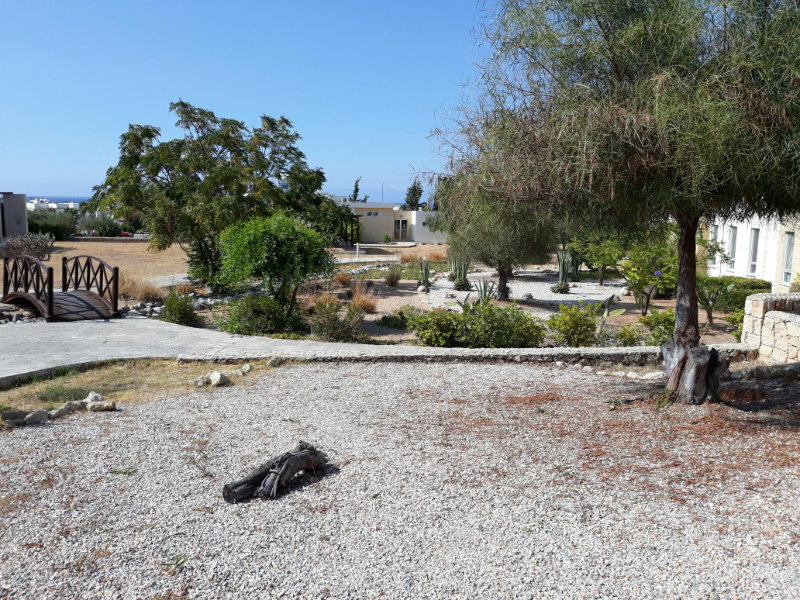 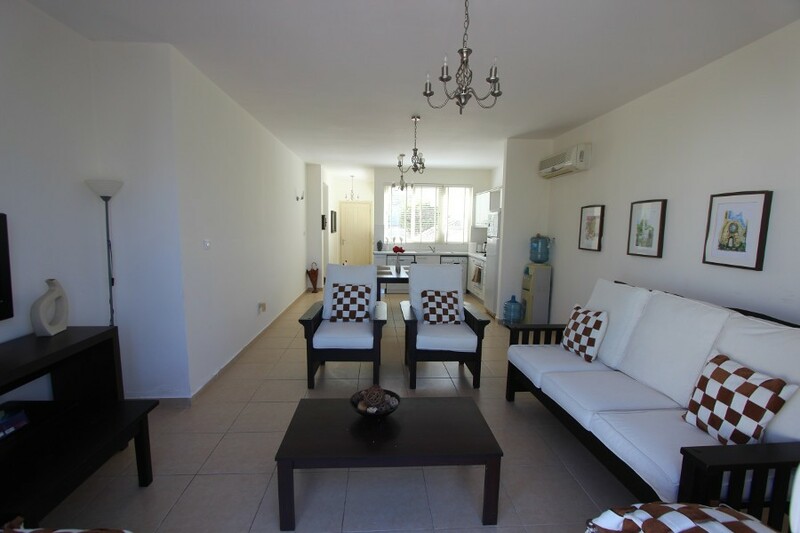 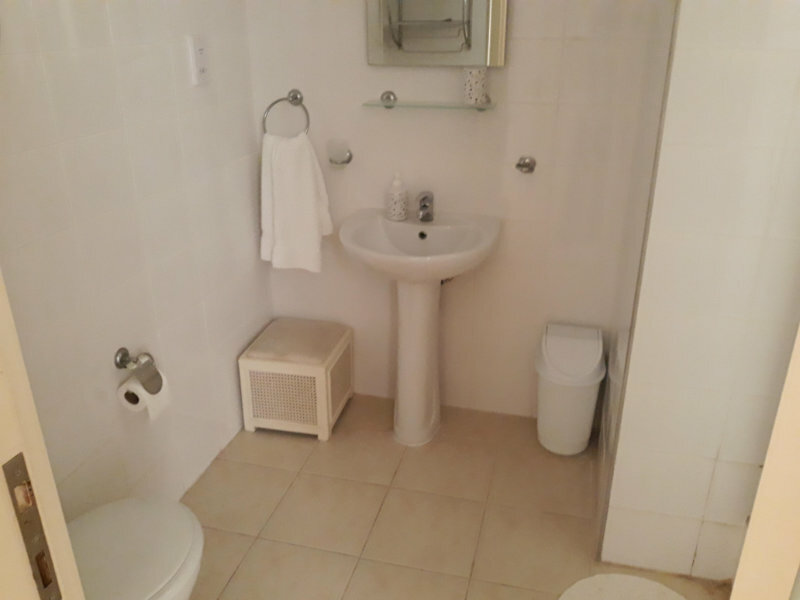 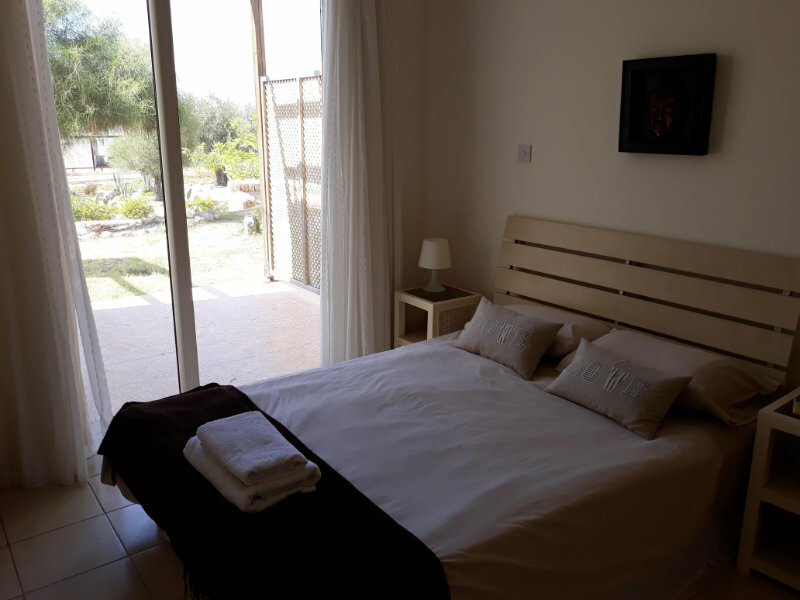 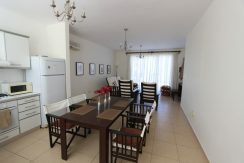 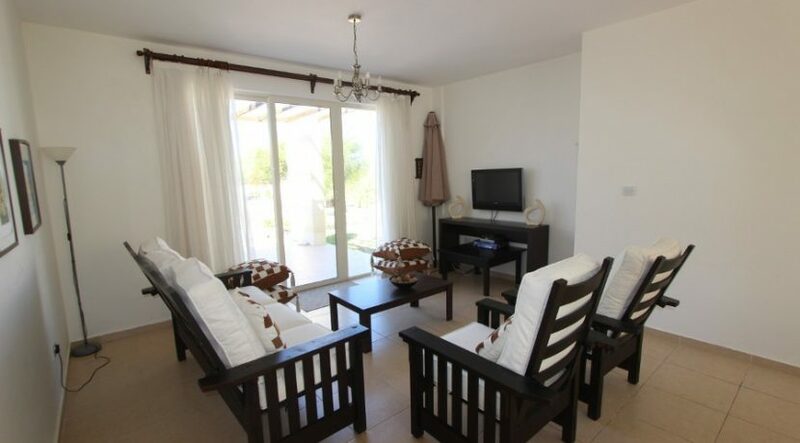 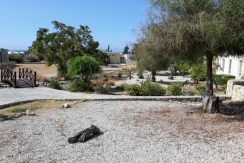 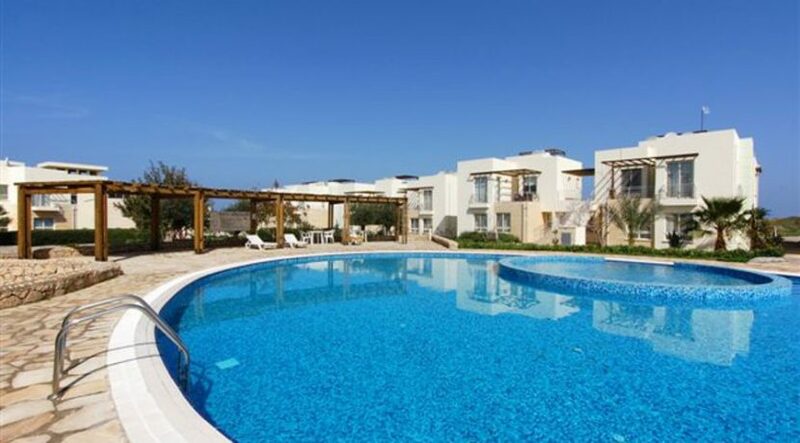 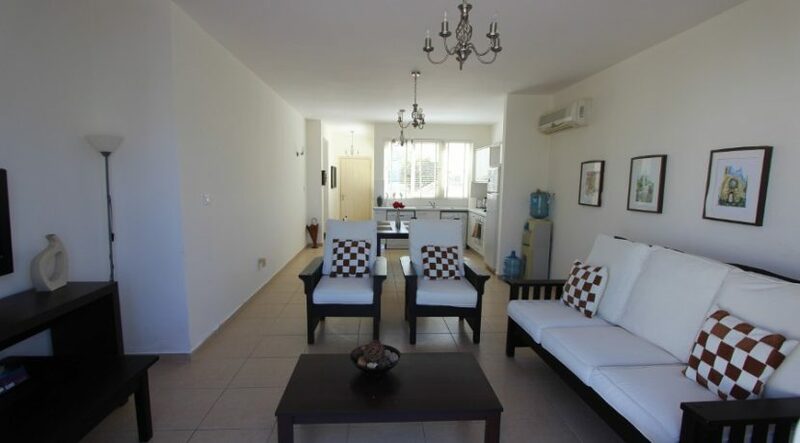 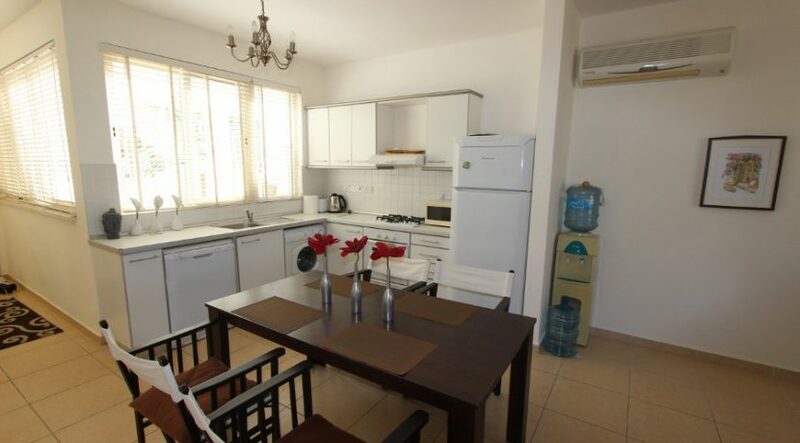 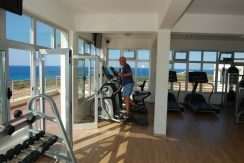 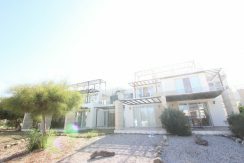 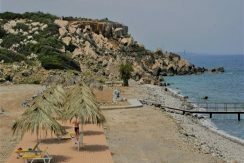 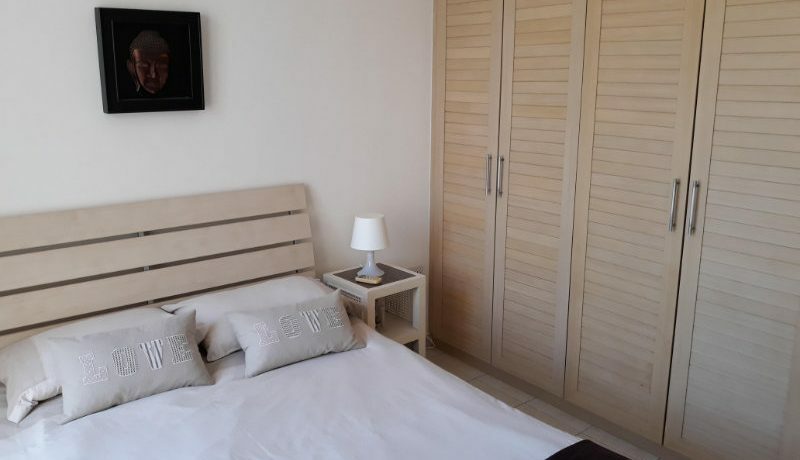 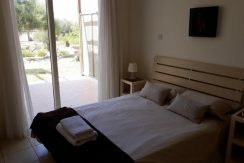 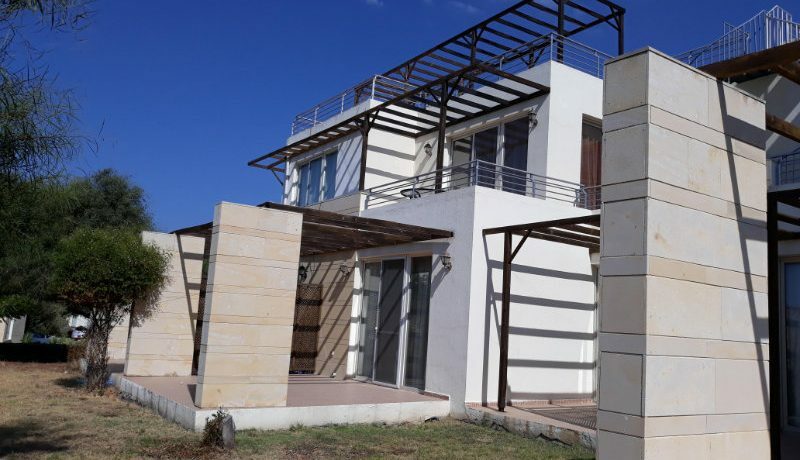 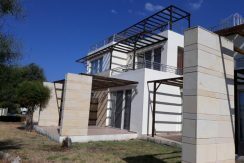 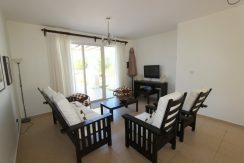 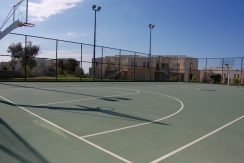 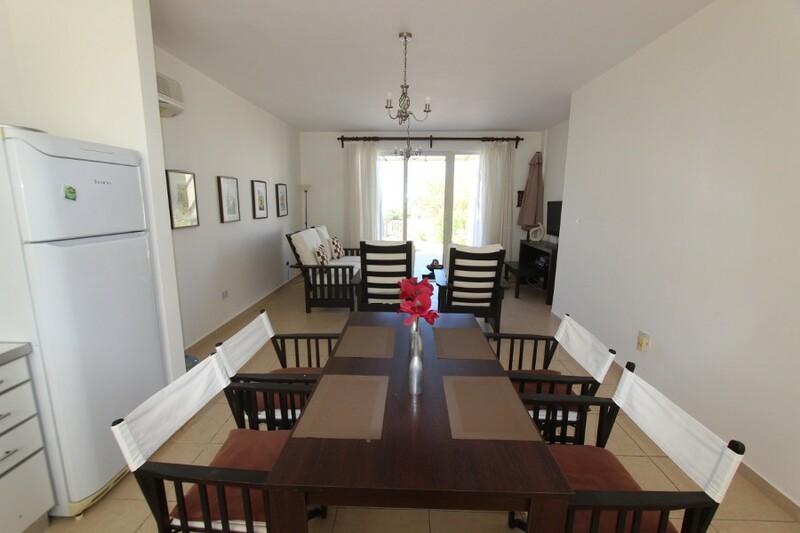 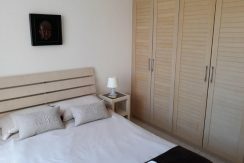 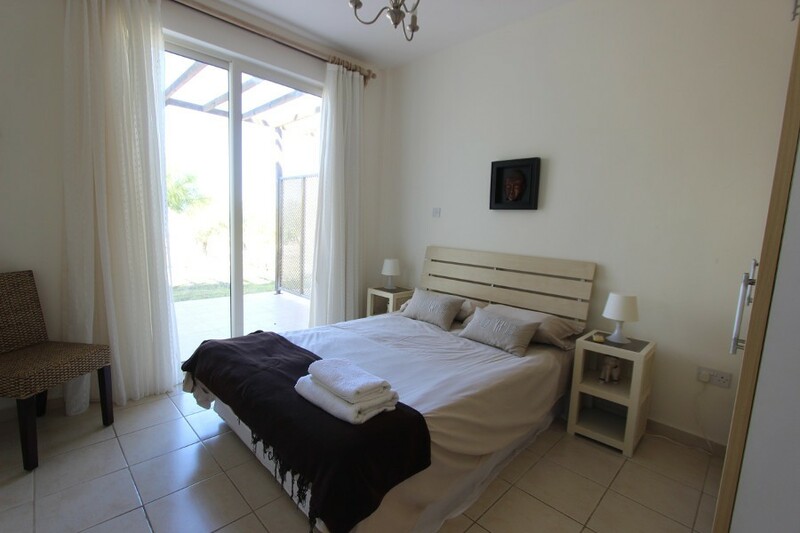 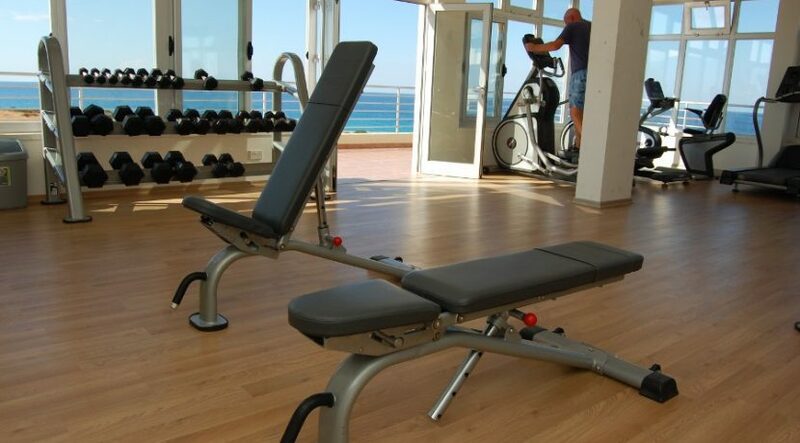 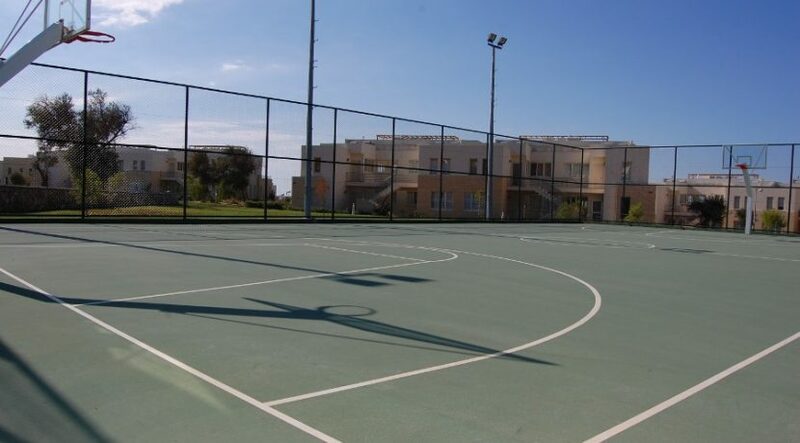 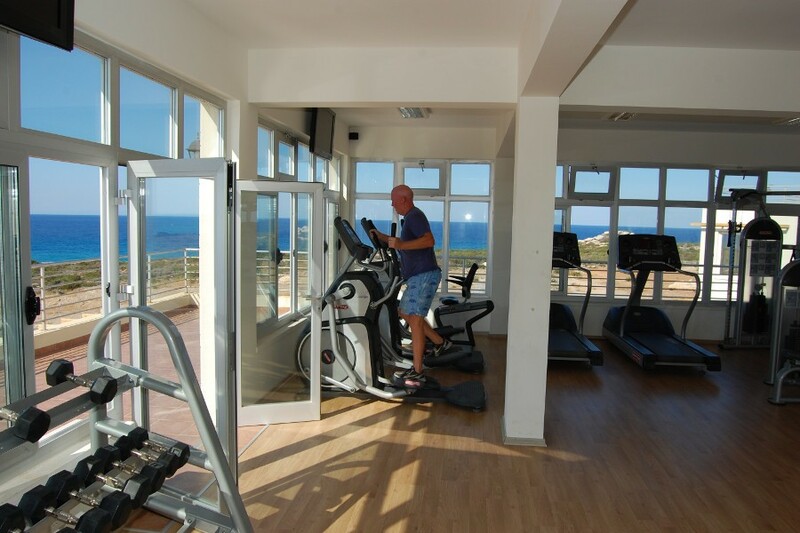 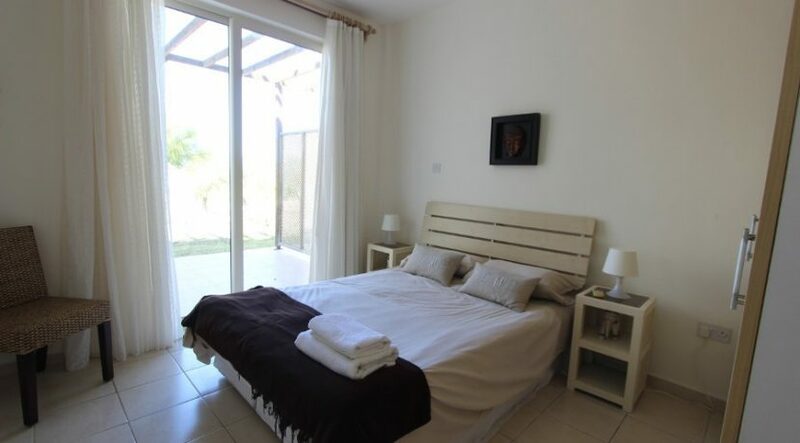 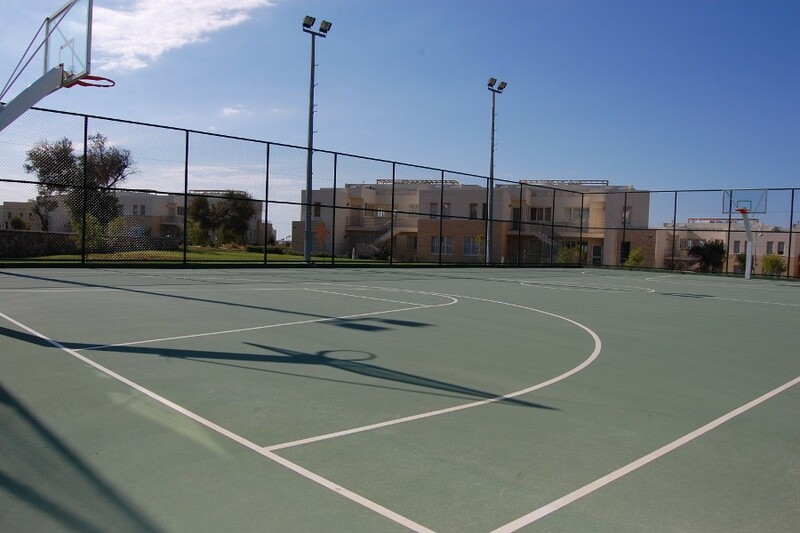 Esentepe – Elegantly Furnished 83m2 Seaview Garden apartment – 20 minutes from Kyrenia on a luxury beachfront site with pools, gym, sauna, tennis and restaurant. 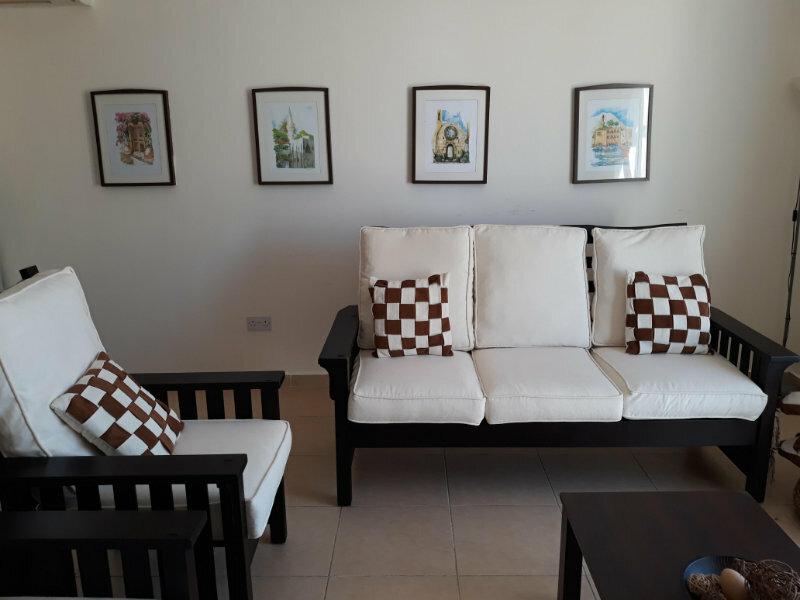 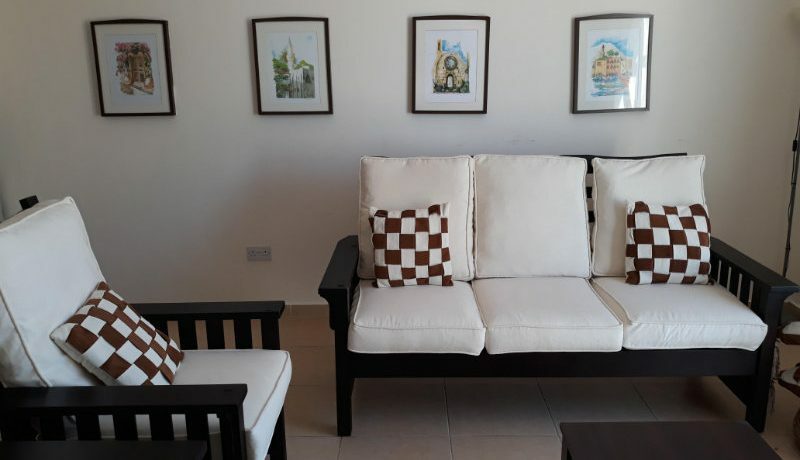 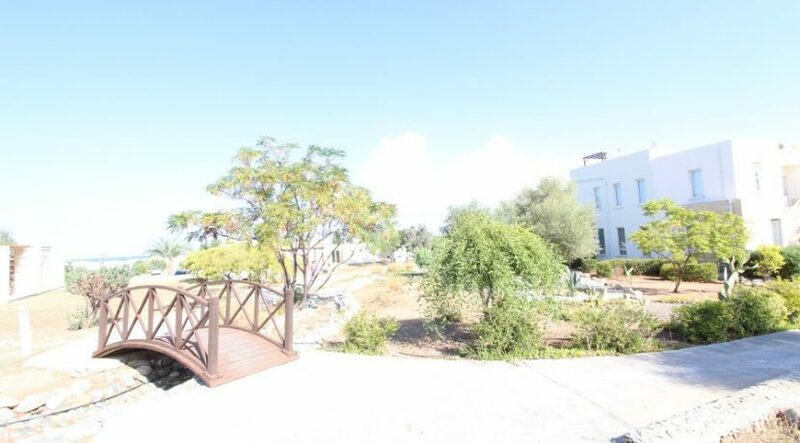 This elegantly furnished ground floor apartment with lovely private terrace offers good value for money, as well as huge lifestyle and investment potential. 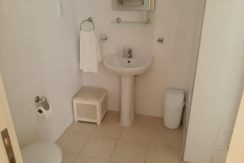 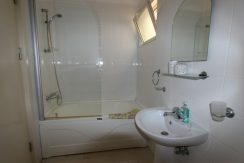 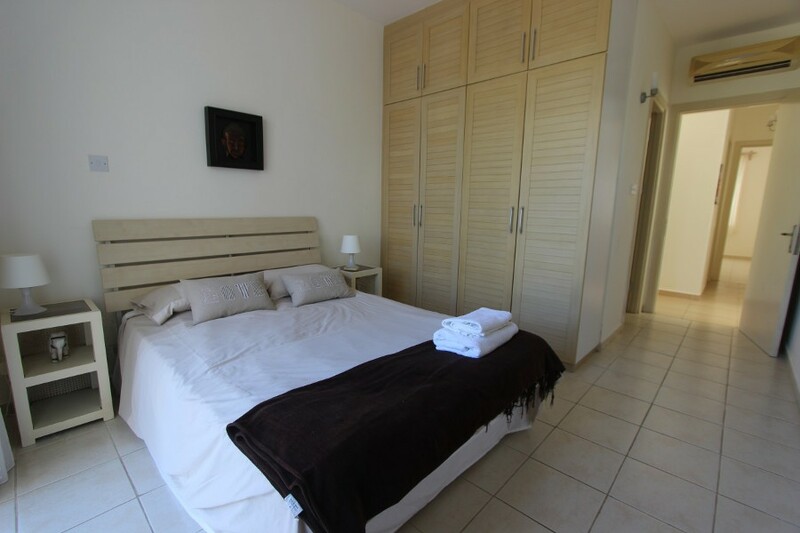 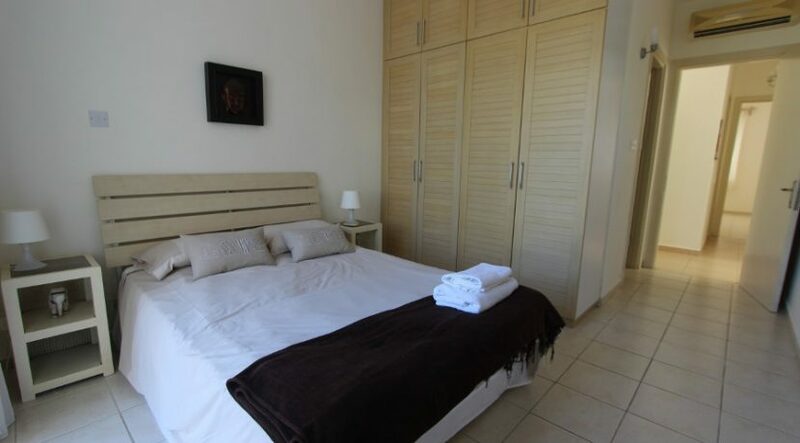 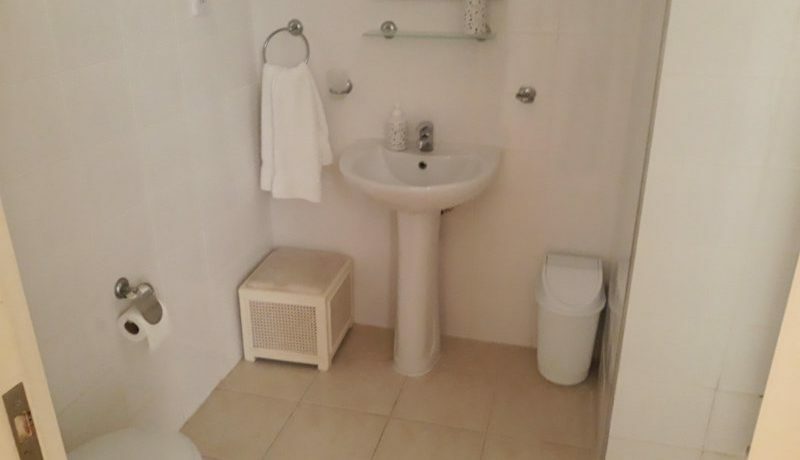 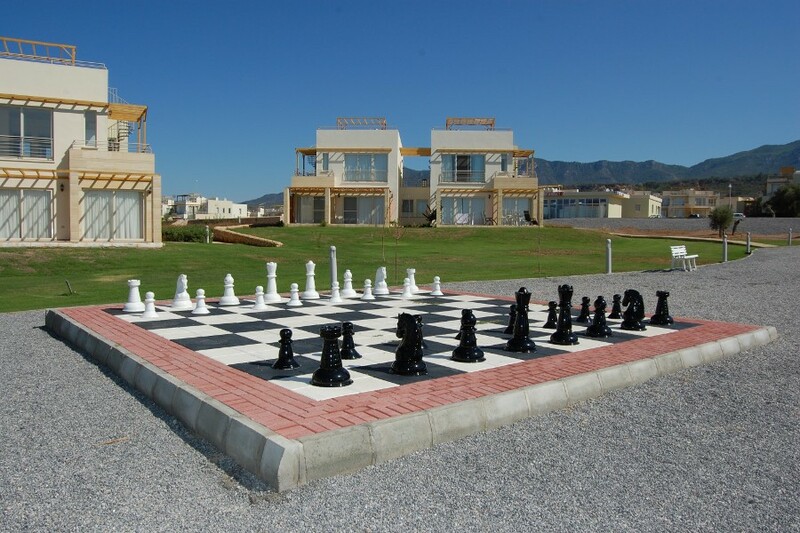 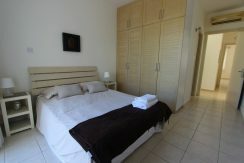 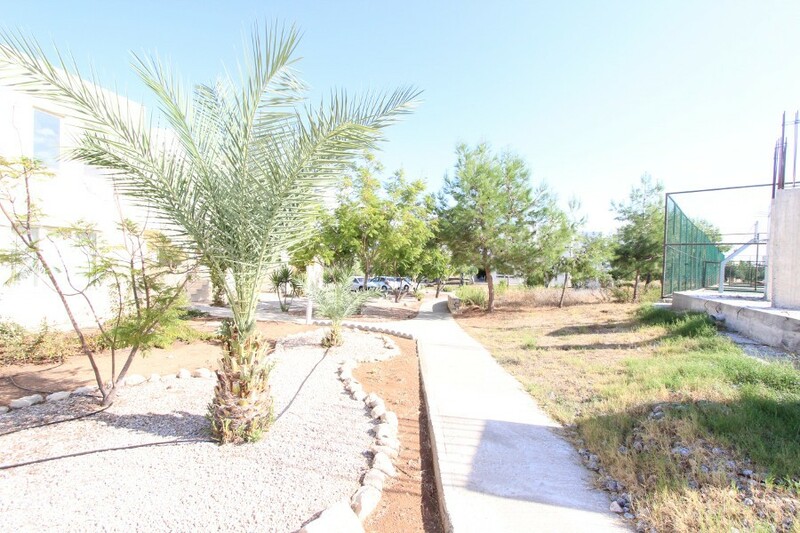 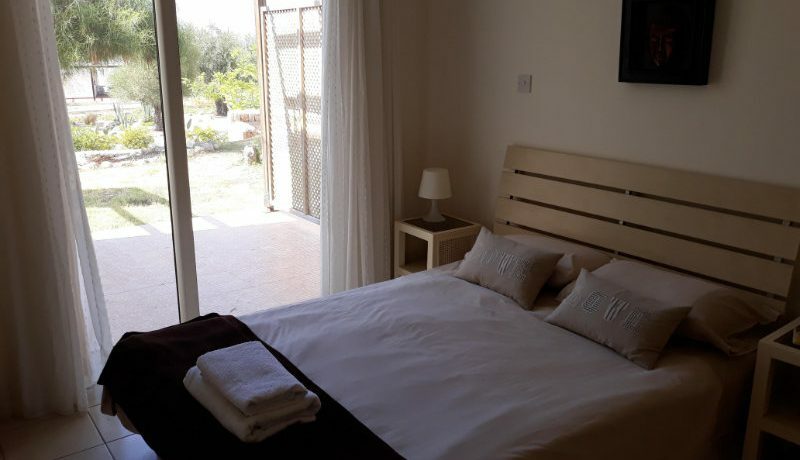 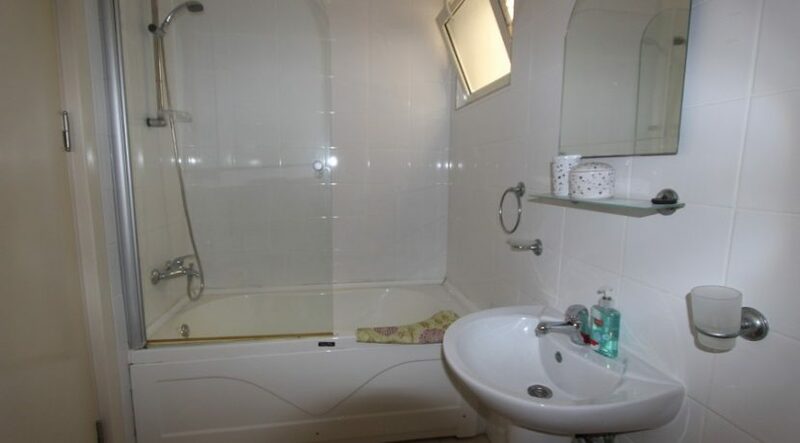 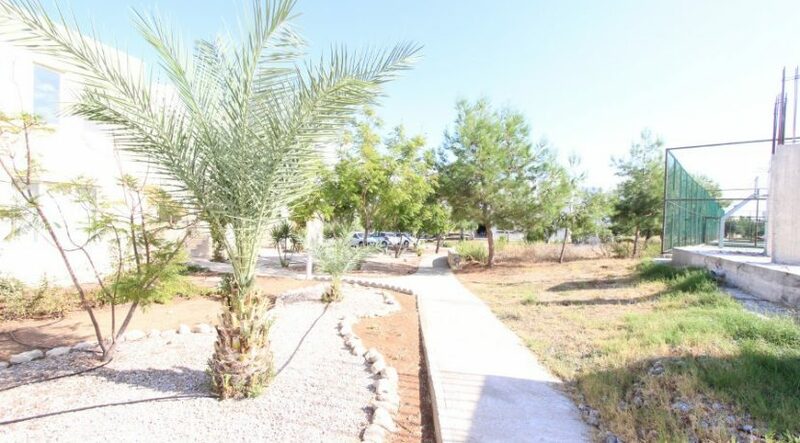 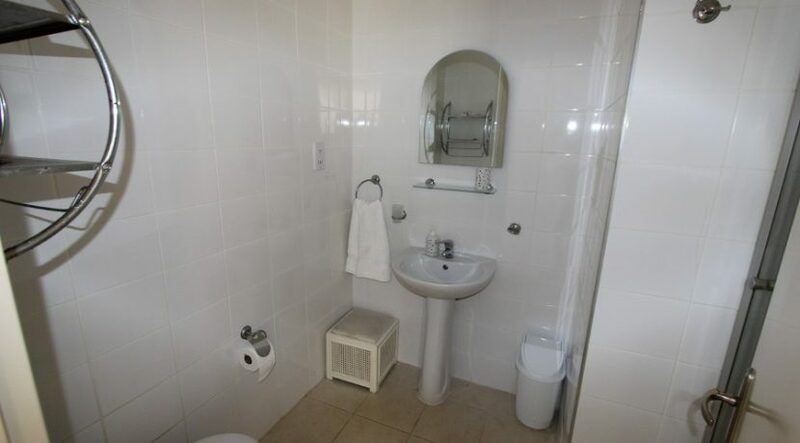 The property offers two good sized bedrooms, one with en-suite and a family bathroom. 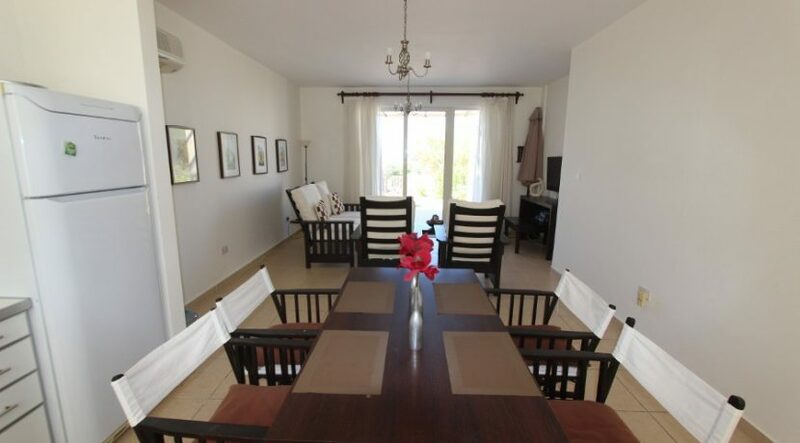 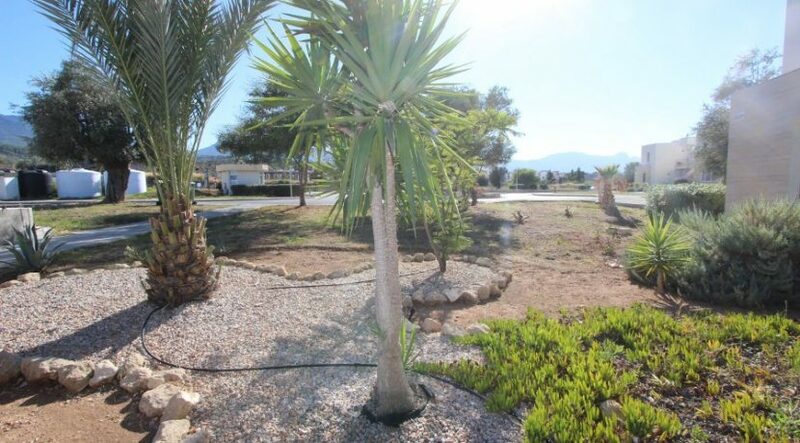 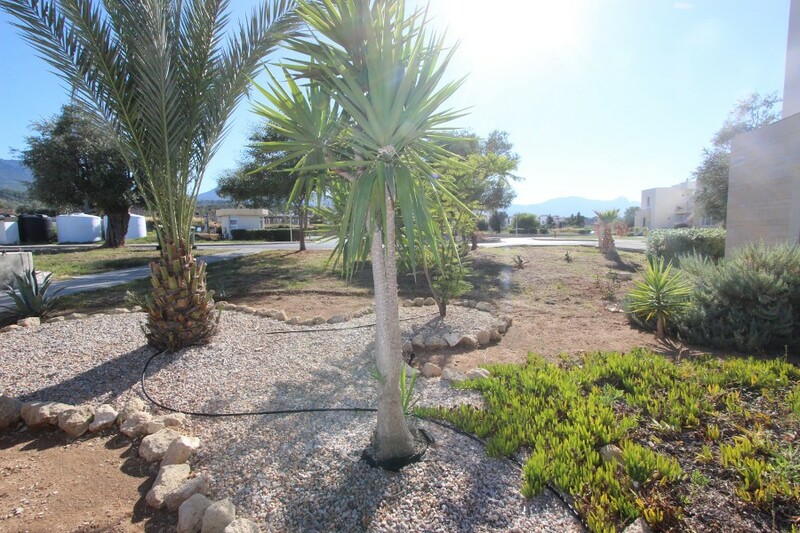 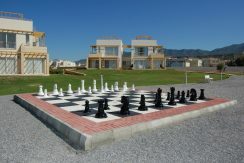 The 19m2 terrace has sea views and there are lovely sea & mountain views from the other rooms. 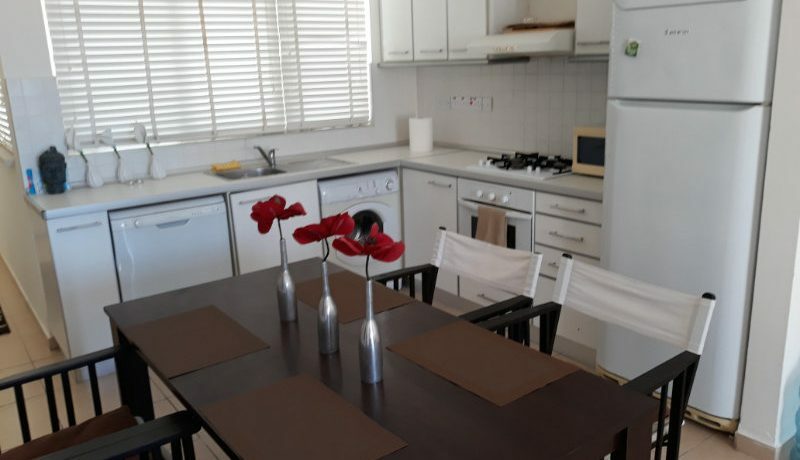 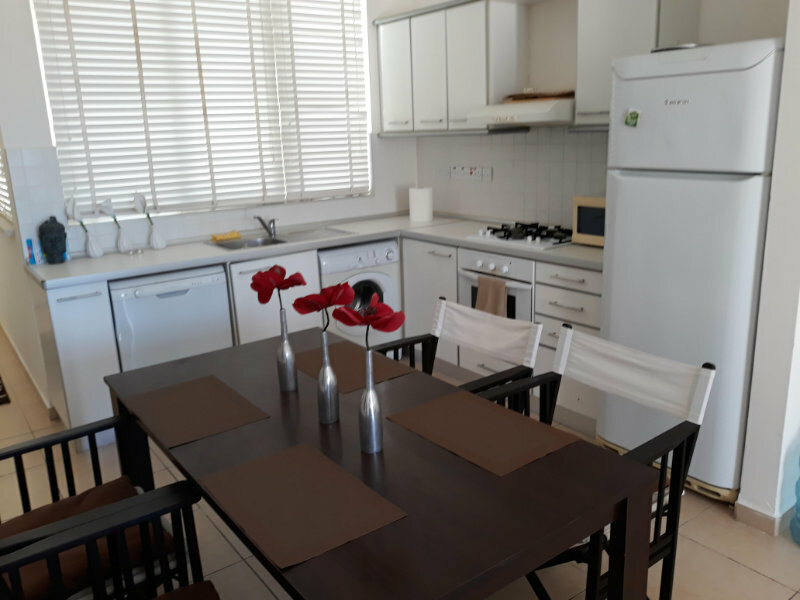 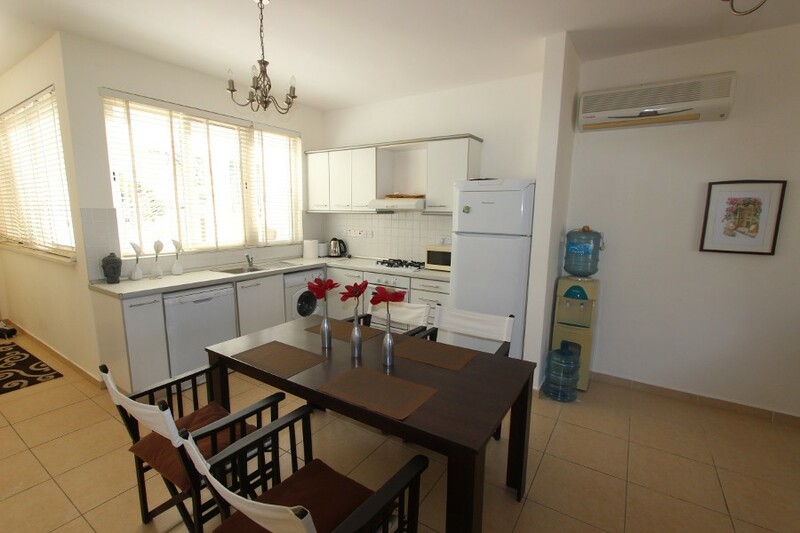 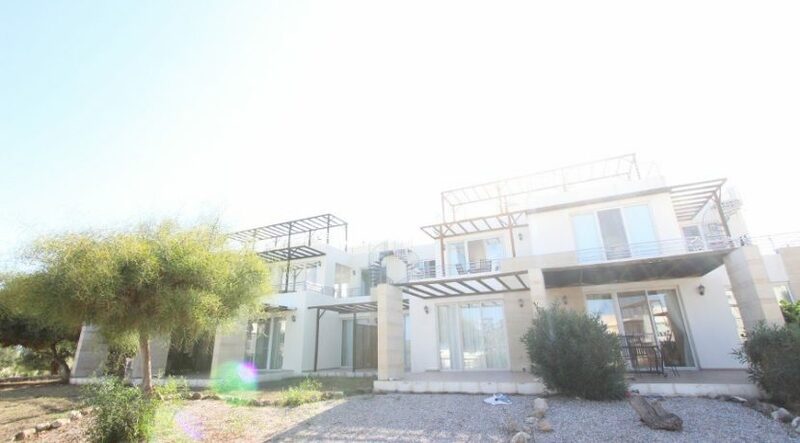 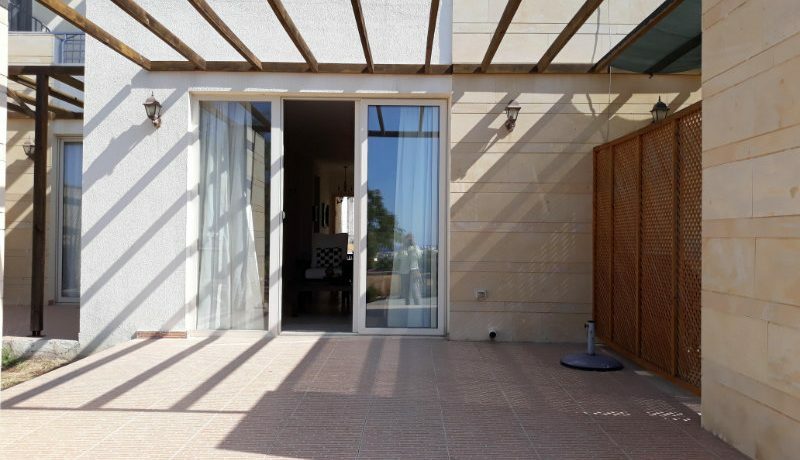 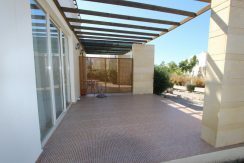 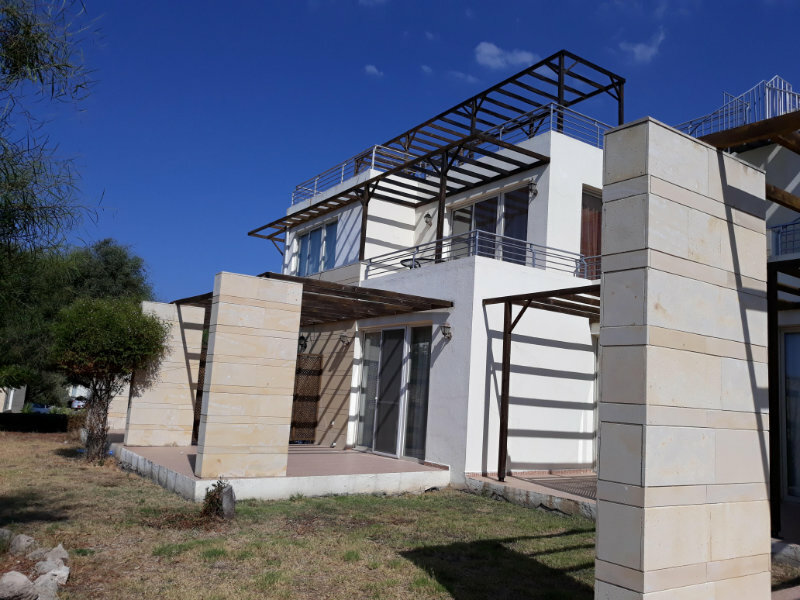 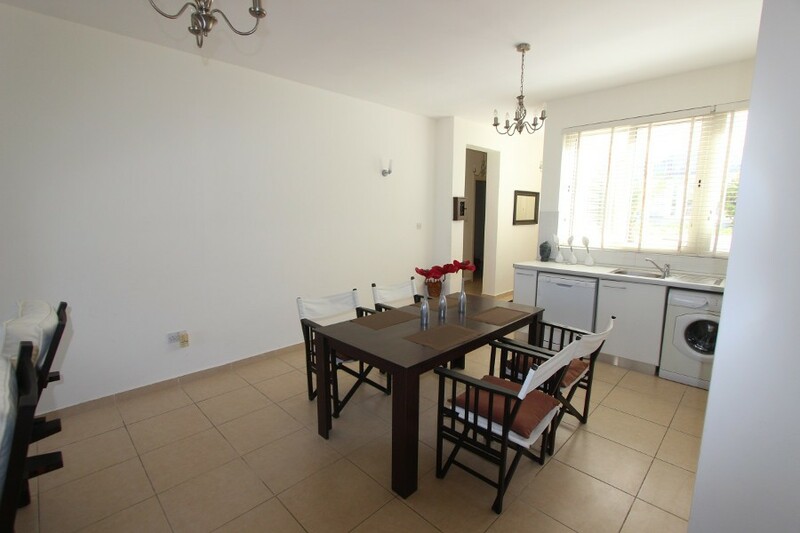 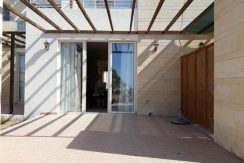 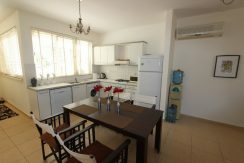 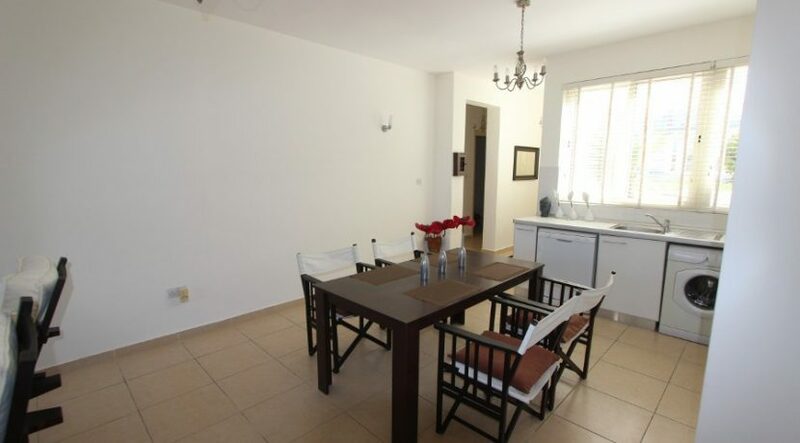 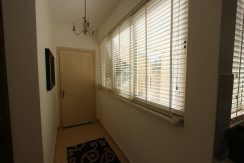 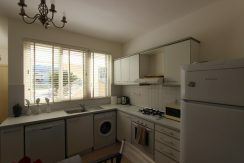 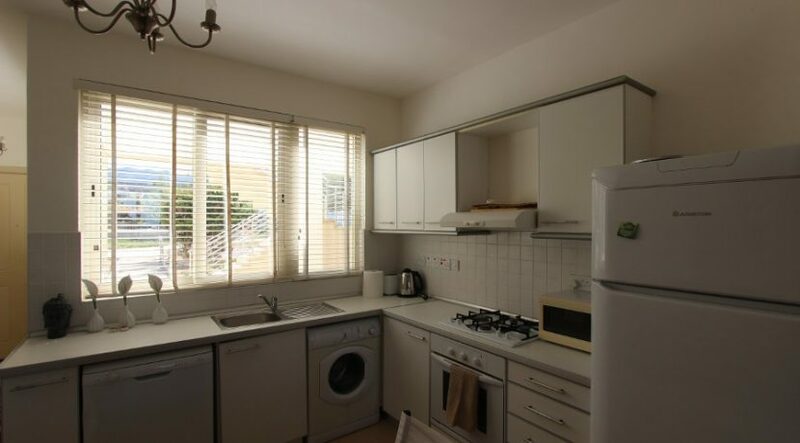 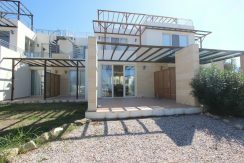 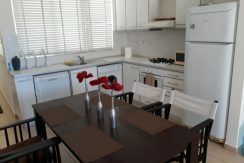 Details: Dual aspect (window in the kitchen with mountain views, sliding doors in the living area leads to terrace with sea views), air con unit, white goods. 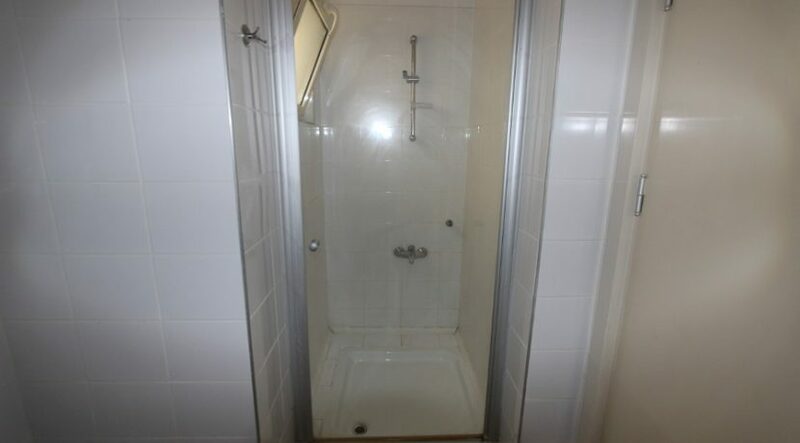 Details: Single aspect, bath, floor and wall tiles. 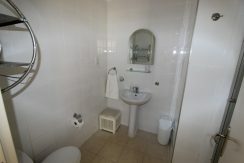 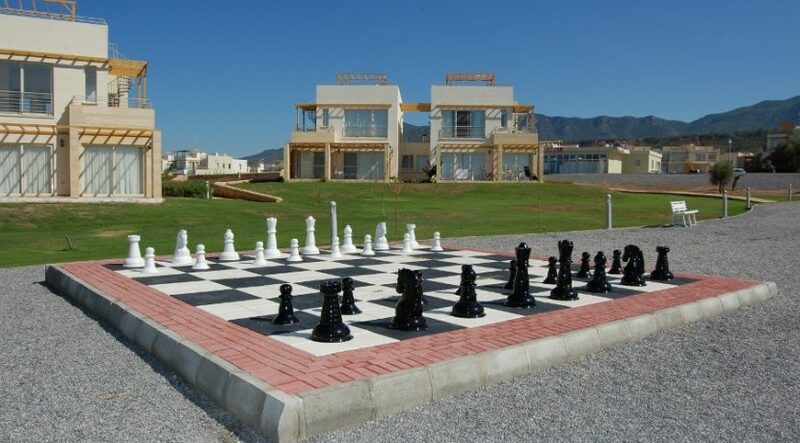 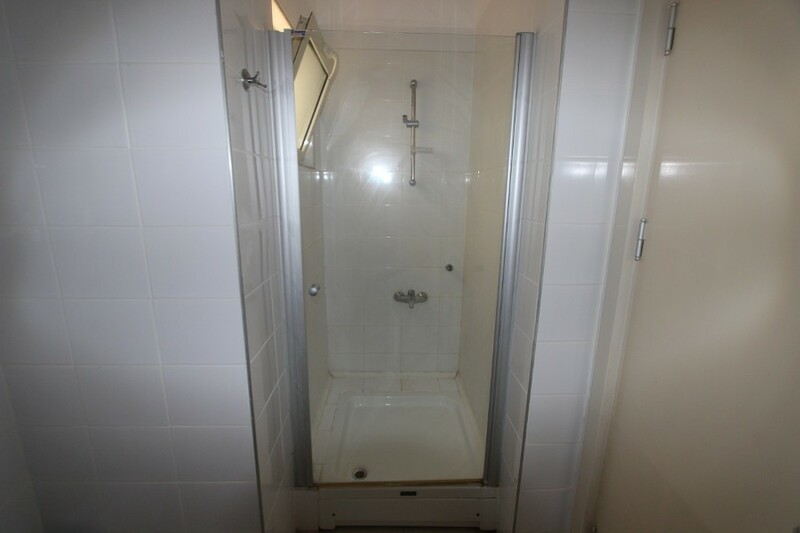 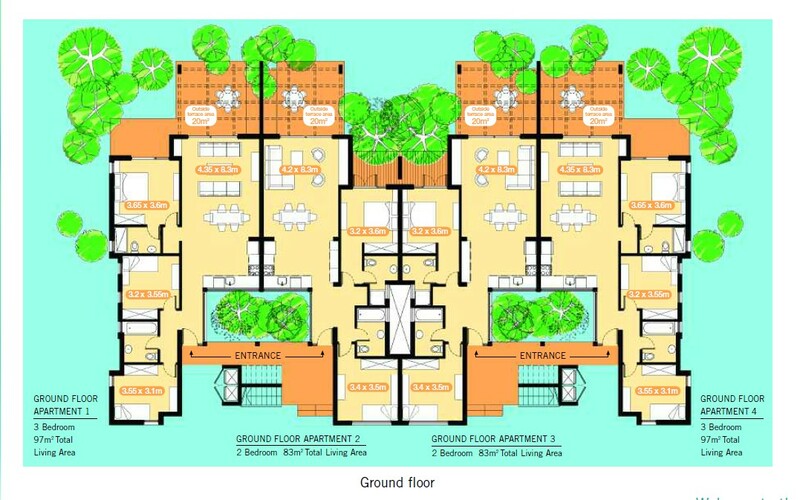 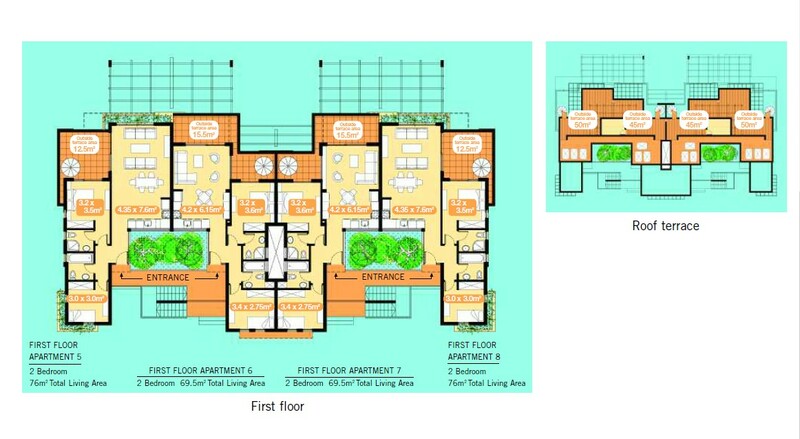 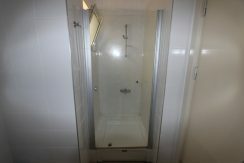 Measurements: 3.2m x 5.3m (16.6m) including en-suite. 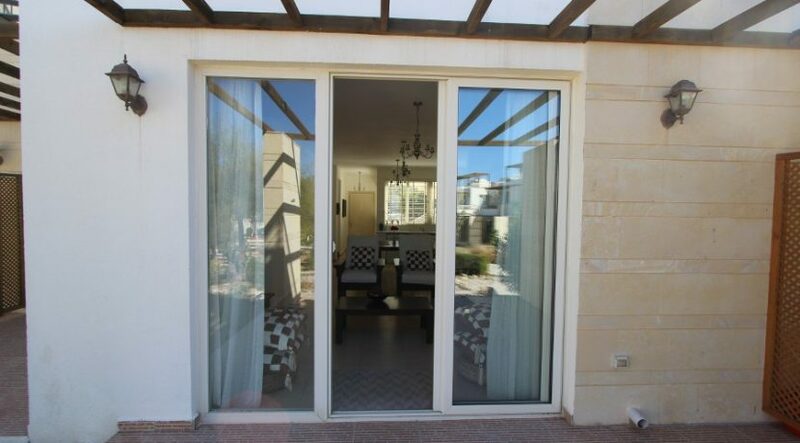 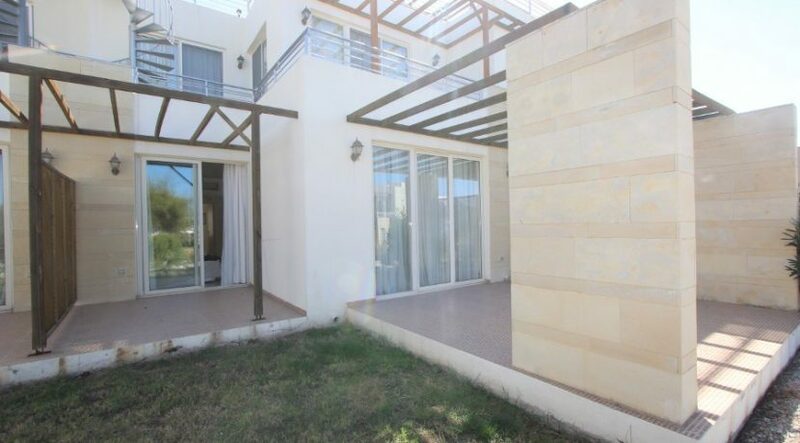 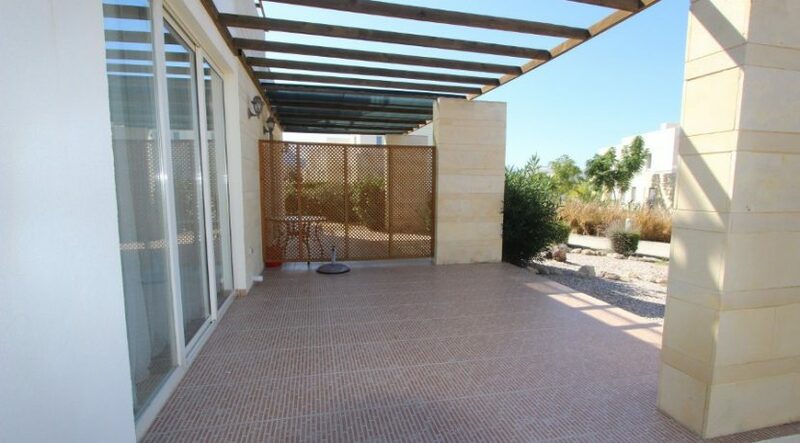 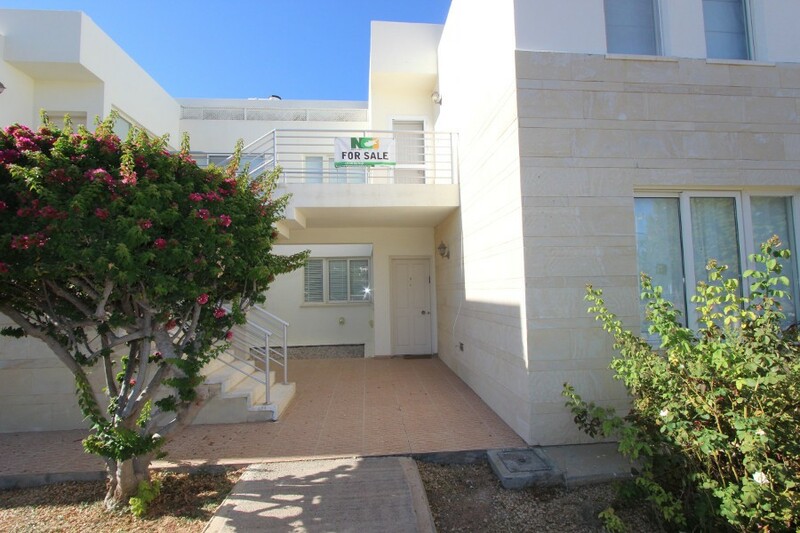 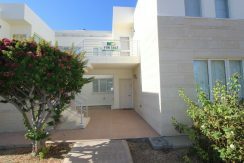 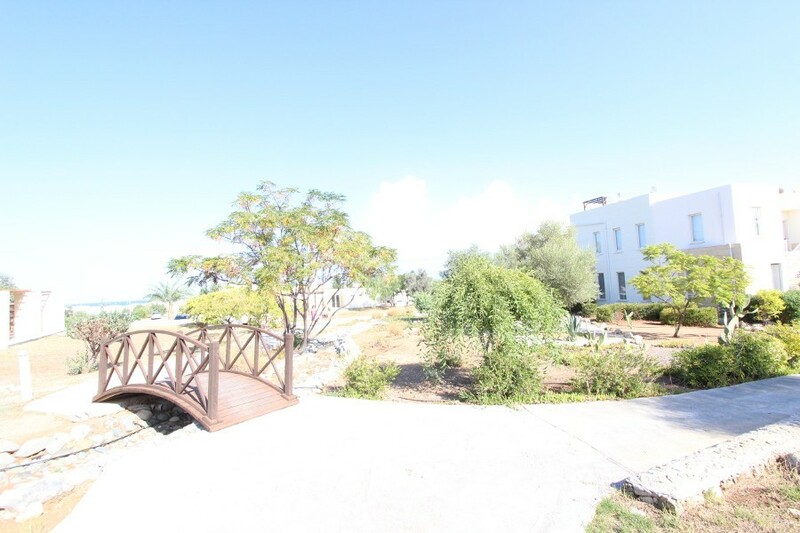 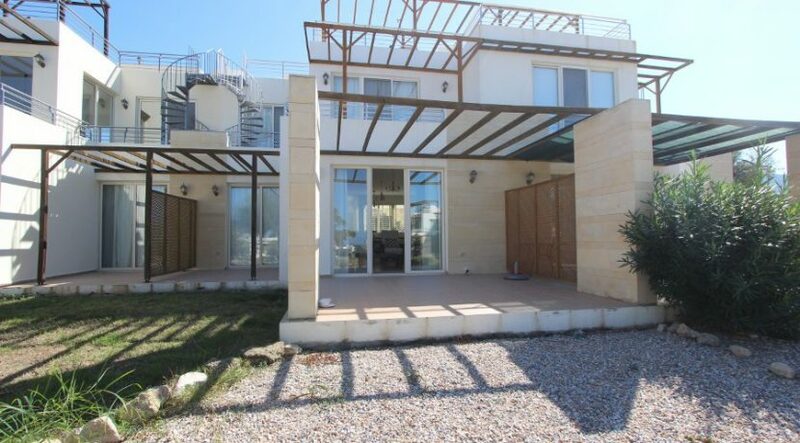 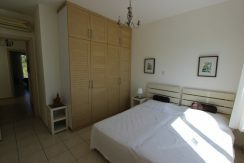 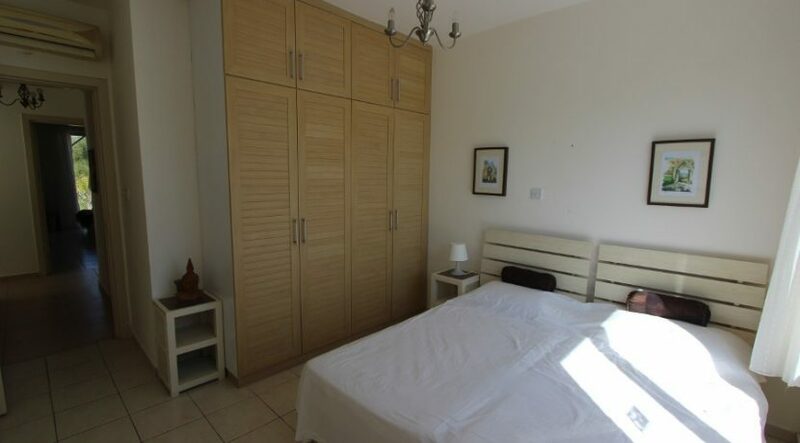 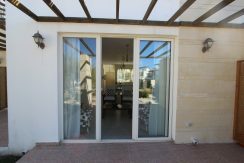 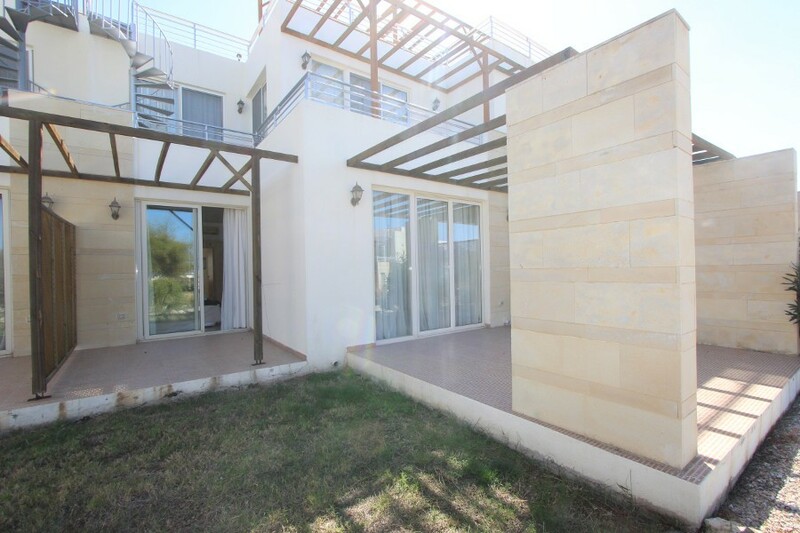 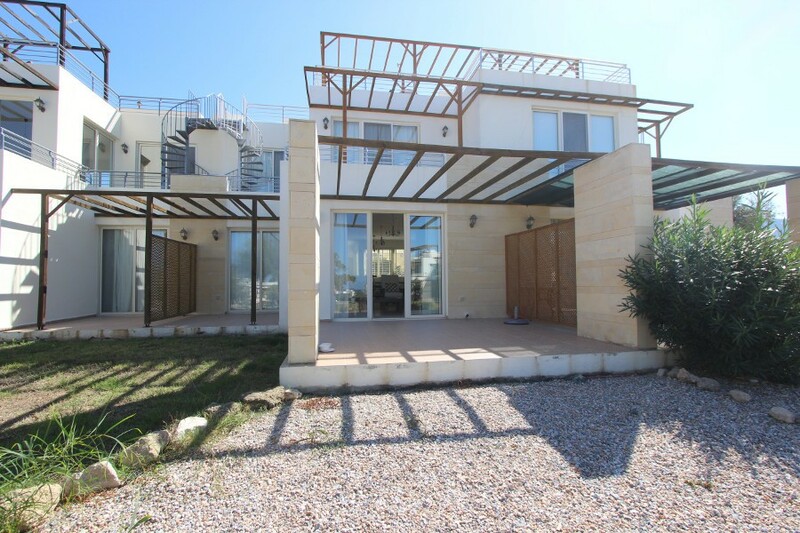 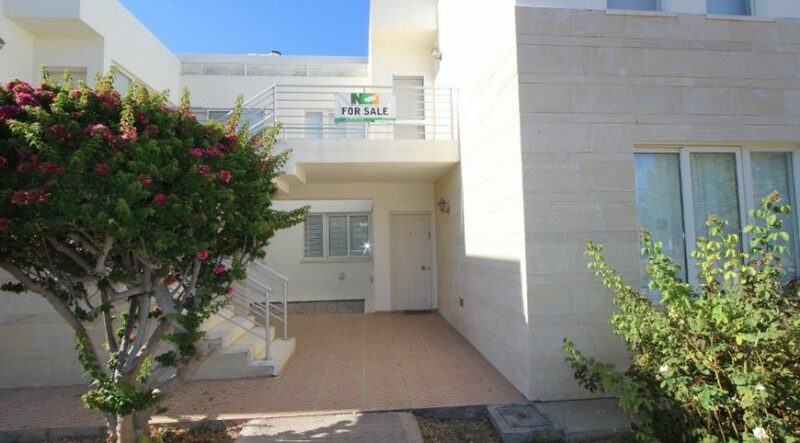 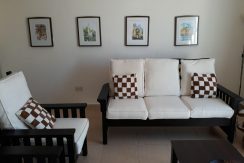 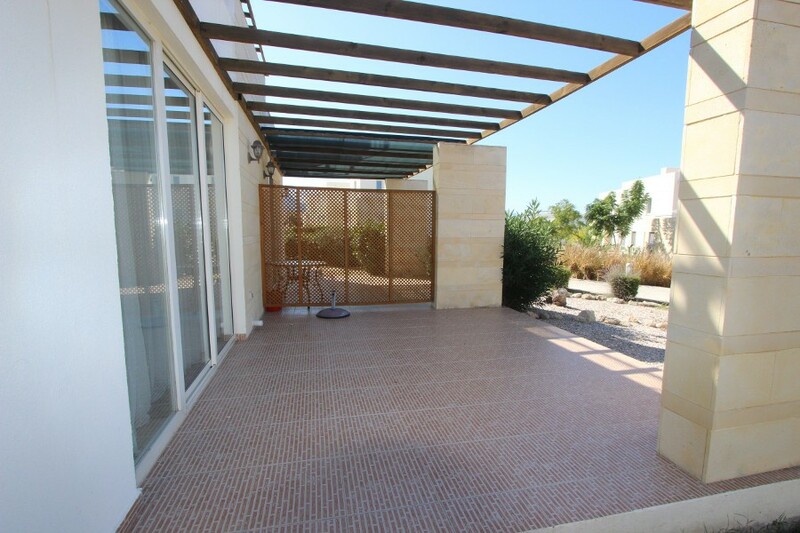 Details: Single aspect (sliding doors to terrace with sea views), air con unit, fitted wardrobes. 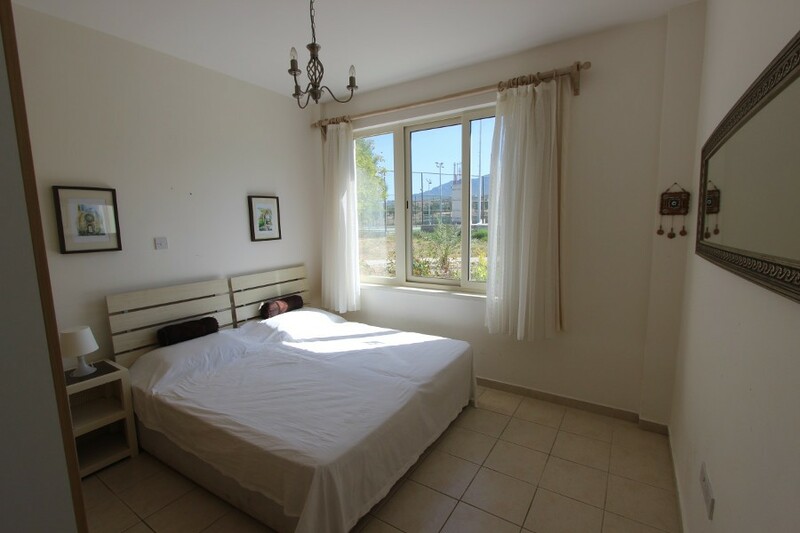 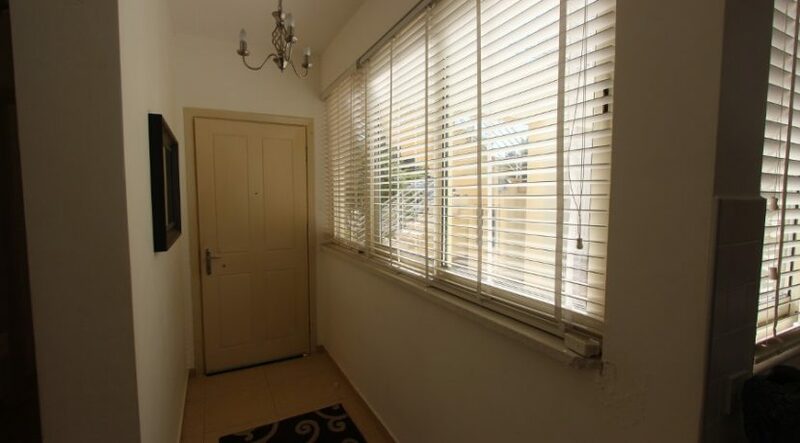 Details: Single aspect (window with mountain view), air con unit, fitted wardrobes.